At Insulation Pros of Colorado, we’re thrilled to be the Top Rated Local® insulation company in Denver and the surrounding areas. 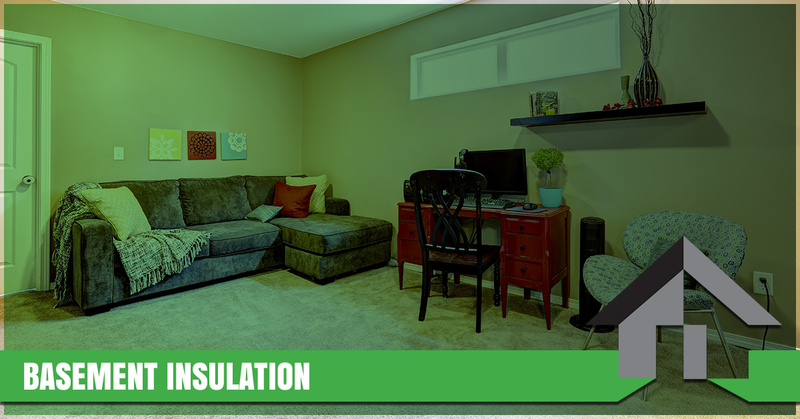 Whether your home is older and was constructed without insulation or your home simply needs to be outfitted with new basement insulation, our insulation contractors can help you find a solution that addresses your needs and doesn’t exceed your budget. First-time clients receive special discounts, so don’t wait to invest in the insulation installation your home deserves. Contact one of our insulation contractors at 303-731-0402 , or send us an email through our website to request more information. The basement tends to be the coldest area of the home. While there’s no getting around the fact that heat rises, properly installed basement insulation can often be the difference between a basement that’s only a few degrees colder than the rest of your home and a basement that constantly feels like a cold January morning. While most contemporary homes are outfitted with basement insulation, the insulation often needs to be replaced as it ages and becomes more compacted. Moreover, older homes tend to have shoddy basement insulation or no insulation whatsoever. In any case, investing in new basement insulation can improve your home in several ways. The primary way that basement insulation will benefit you is by improving your home’s energy efficiency. Your home probably has an HVAC system which supplies your entire home with heat during the winter, and if your basement isn’t properly insulated, then you’re probably wasting a significant amount of energy attempting to heat a frigid basement. Moreover, the cold air in your basement is likely to permeate to the first floor of your home, making your HVAC system work overtime in order to maintain a stable temperature. Most homeowners see a significant reduction in their energy bills after investing in an insulation installation in their basements. If you’ve ever considered using your basement as an entertainment space or renovating some of the rooms for your children or guests to sleep in, basement insulation is an absolute must. You’ll also benefit from noise reduction, making your basement the ideal location for a home theater or a new home office. Moisture from the ground is often the cause of mold infestations in basements around the United States, and high-quality basement insulation can prevent moisture from making its way into your home’s foundation. Treating a mold infestation is both costly and time-consuming, so provide yourself with peace of mind by investing in basement insulation! Do-it-yourself insulation installations are by no means impossible, but they require significantly more effort and money than it does to simply hire a professional insulation company. To perform an insulation installation on your own, you’ll have to figure out how to install insulation in the ceiling, work around ducts and other air units, and remain compliant with building codes in your area. Moreover, you’ll have to invest in high-quality goggles, gloves, and protective headwear. Save yourself time, money, and ensure that you stay safe by hiring a professional insulation company to perform your insulation installation! Our insulation contractors are thoroughly vetted and trained to use the latest techniques and cutting-edge products. We want to ensure that each of our customers receives exceptional service and long-lasting results. From your initial energy assessment to the insulation installation itself, our commitment to quality truly sets us apart from other insulation companies in Denver. As part of our continuing commitment to our customers, we provide 10-year warranties on our insulation installations and products. Are you ready to invest in the basement insulation you deserve? Contact our insulation contractors today!